The SunRail™ Nautilus and Spectrum systems are an elegant solution for a class A office or commercial setting. These moderately priced, custom systems are manufactured with marine grade 316L stainless steel and in most cases can be pre-staged prior to installation. These low-maintenance, reliable products will stand the test of time and appease even the most stringent client expectations. 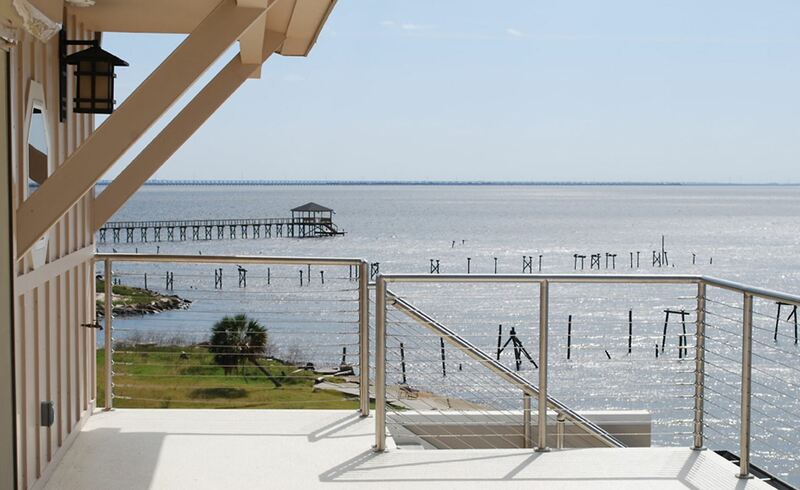 The SunRail™ Nautilus stainless steel cable railing design combines the modern look of stainless steel cable railing with polished or brushed stainless steel rails. The patented RailEasy™ Tensioners are attached to each post at the factory and ready for installation. 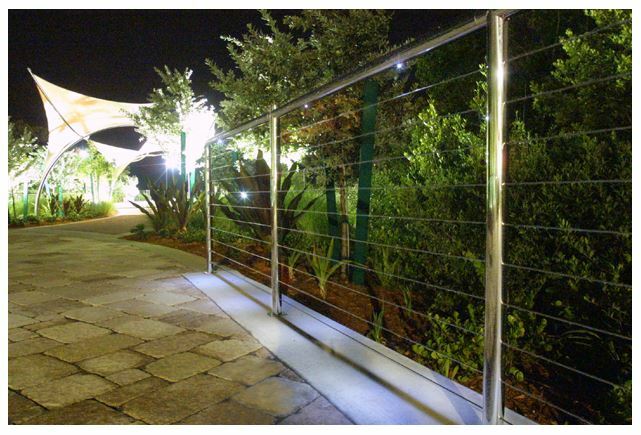 The SunRail™ Nautilus cable railing system requires no special assembly skills or tools. 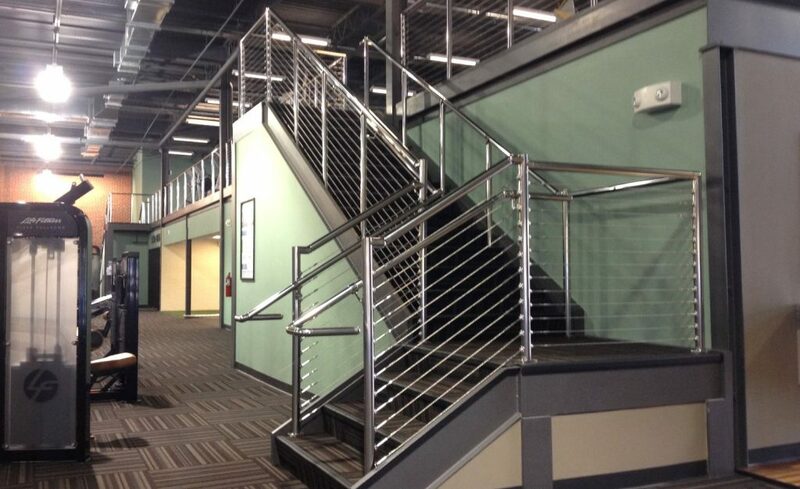 This stainless steel cable railing is perfect for interior or exterior; commercial applications where clients require sophistication and a unique look. Now available with Microstar LED Lighting. 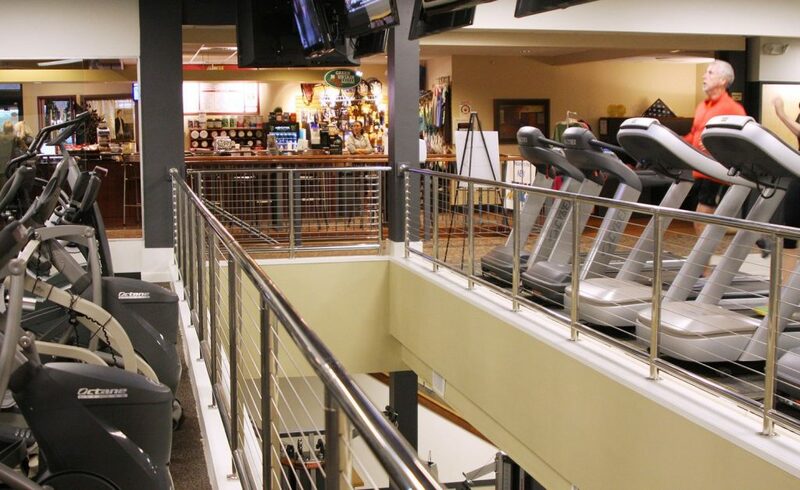 Straight Sections - The SunRail™ Nautilus System is offered in two standard post heights of 36" or 42" for straight sections. It consists of a top rail and optional bottom rail with 10 to 13 runs of cable, depending on the height and optional bottom rail. Stair Sections - Rail height for stair sections is available in 36" only. Note: Railing heights are offered in these dimensions due to nationwide building codes. However, we can supply custom heights/lengths upon request. Between Posts Length - Atlantis Rail recommends staying within 4' section lengths to maintain structural integrity. Cable Spacing The cable is spaced on posts at 3" on-center to comply with nationwide building codes. 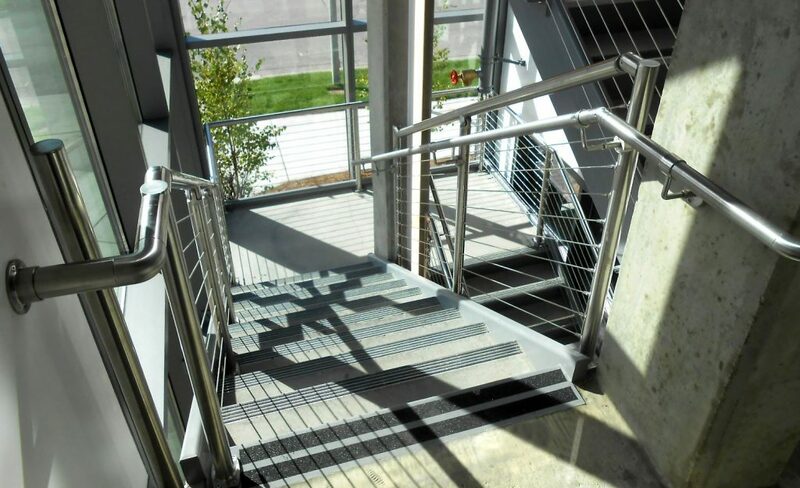 The Spectrum System is an easy to use, universal cable guard railing product. It utilizes fascia mounted or surface mounted square posts and cable infill options of HandiSwage™ studs. 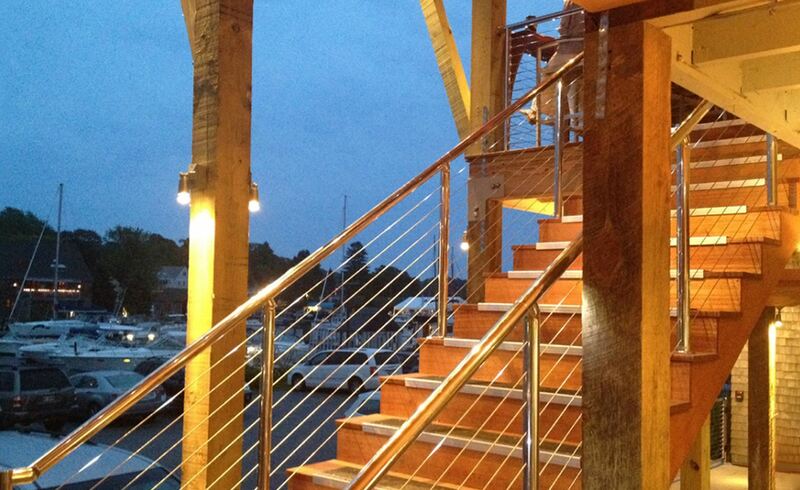 It is designed for use with a customer supplied hard wood top railing. Universal posts are used for corners, ends and mids, allowing for a truly off-the-shelf guard rail solution. Spectrum is available in black or metallic silver or three special order colors (pure white, pebble grey, and brown). Straight Sections - The Spectrum System is offered in post heights of 36" or 42” for straight sections. It consists of square posts fascia mounted, customer supplied top rail and 12 to 14 runs of cable. Stair Sections - Rail height for stair sections is available in 36” or 42". Note: Railing heights are offered in these dimensions due to nationwide building codes. However, we can supply custom heights/lengths upon request. Between Posts Length - We recommend staying within 4' section lengths to maintain structural integrity. 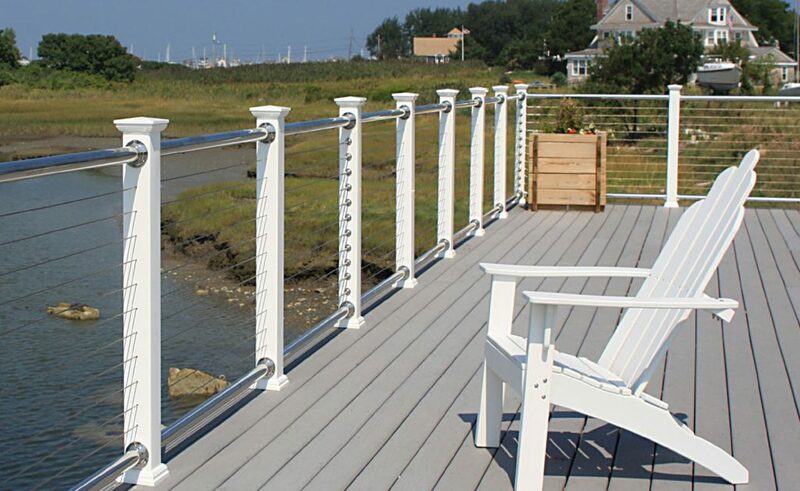 Railing Finish - The Spectrum System is offered in standard and special order colors to fit any application. Cable Infill - The HandiSwage™ cable infill option features a line of stainless steel hand swage fittings and 1/8” or 5/32” cable. Cable Spacing - Cable spacing varies depending on post kit model.